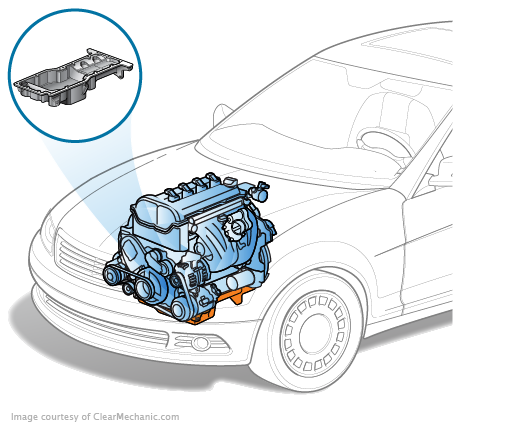 How much does a Oil Pan Gasket Replacement cost for your car? The cost of a Oil Pan Gasket Replacement depends on the type of car you drive. A gasket’s job is sealing certain components of your internal engines from other areas, and that is exactly what it does for your vehicle’s primary container of oil, the oil pan. With many moving parts that need constant lubrication, the oil pan needs to always be functioning properly to ensure your car is feeling smooth inside and out. Extremely. Virtually every part of your engine needs some oil, so when it begins leaking, it is bad for two reasons. One is that the oil can’t reach where it needs to go, so parts function roughly and may even stop altogether. Another is that the oil begins to damage your engine by going into the wrong areas like the exhaust pipe, causing smoke and overheating your engine further. All of these can spell disaster, so if you ever see a leak, call a technician immediately. If you need help, ask one of our experts for some advice.